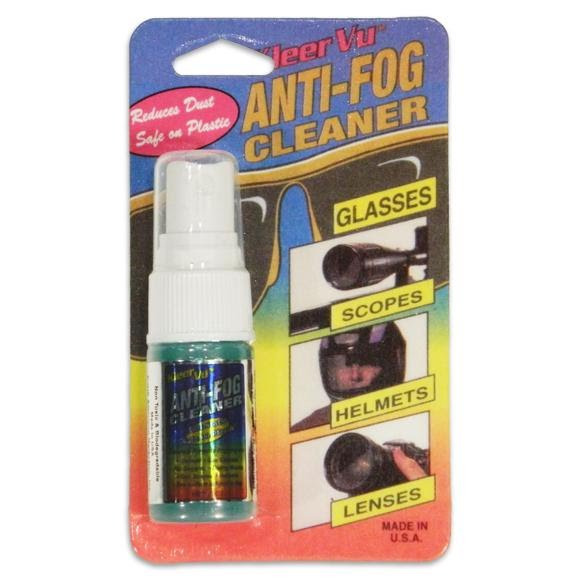 Effective and easy to use, Kleen Vu cleans, prevents fogging and reduces dust buildup. It can be used safely on all types of lenses, plastic or glass, coated or otherwise. Kleer Vu is long lasting, whether applied directly and then wiped, or sprayed onto the cloth first before wiping. From Sportsman Edge, made in the USA. Effective and easy to use, Kleen Vu cleans, prevents fogging and reduces dust buildup. It can be used safely on all types of lenses, plastic or glass, coated or otherwise. Kleer Vu is long lasting, whether applied directly and then wiped, or sprayed onto the cloth first before wiping. From Sportsman Edge , made in the USA.